Death is all around 25-year-old Ivy Rowan in 1918. Her brother has already lost his life in the Great War, dozens of her neighbors are battling the influenza epidemic, and her father and second brother have just come home with blood on their hands – literally. For Ivy, it’s the last straw. She packs her things and leaves that night, unable to stay under the same roof with the men who killed a young furniture maker just because the man was German. Ivy has always carried too much responsibility on her shoulders, as well as guilt and regret. The murder committed by her father and brother is another of those burdens, and Ivy sets out to apologize to the victim’s brother, and offer whatever help she might. In a matter of a few short nights, the quiet, reclusive piano teacher is living with a war widow, fraternizing with a German, and driving an ambulance to fetch poor flu victims. In essence, Ivy’s world has turned on its head. The Uninvited is a book about love and loss, at its core. How do you handle so much pain and heartbreak without breaking yourself? For Ivy, who sees “the uninvited,” spirits of those who have died, the question of living life to its fullest becomes even more complicated when more and more spirits continue to appear. She struggles to live surrounded by so many reminders of death. While engrossing, the story felts a little drawn out in some parts. But there is a surprising turn of events tucked into the final third of the book that will keep you turning the pages. 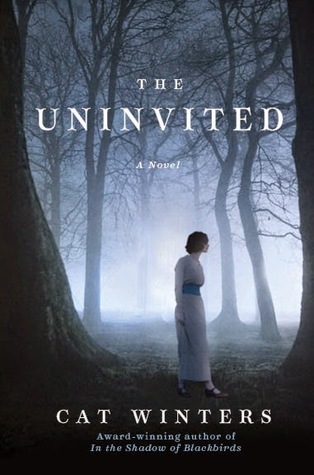 Overall, The Uninvited is intriguing, interesting, and well-written.